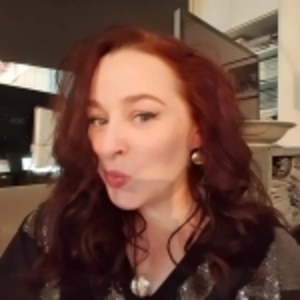 Sewing instructor and designer Joi Mahon will host a special destination sewing event July 22-25, 2015, that brings together some of the key experiences of a sewing expo with that of a multi-day workshop. 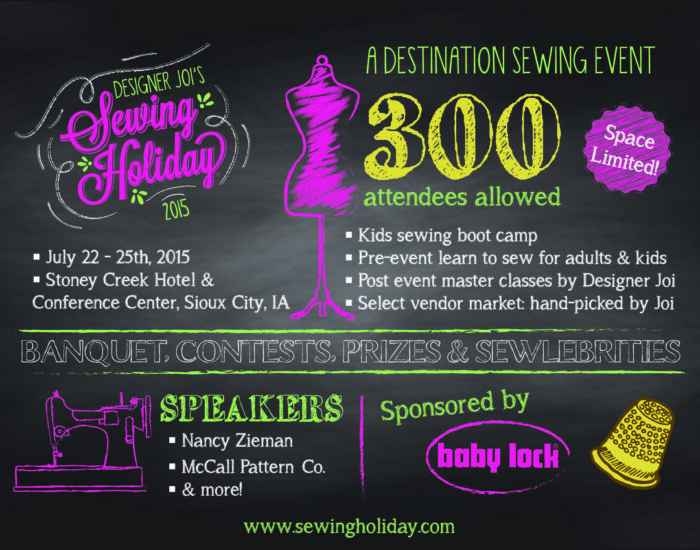 “Designer Joi’s Sewing Holiday” will be held at the Stoney Creek Inn & Conference Center in Sioux City, Iowa. Guest speakers include Nancy Zieman and representatives from The McCall Pattern Co., and a variety of other well-known sewing instructors will be on hand to teach classes. Pre-event learn-to-sew classes will be offered, as well as a kids sewing boot camp during the main event. Joi will teach post-event master classes, as well, in particular a class on her popular fitting method, in addition to classes on design and draping. Joi has handpicked a selection of vendors to create a mini marketplace for fabric and notions shopping, and the event will include a banquet, entertainment, contests, prizes, and lectures on quilts and historic clothing. The registration fee is $395, plus hotel stay. Visit SewingHoliday.com for more details.